Cut to the chase in this sleek and unique lace-up from Mollini. 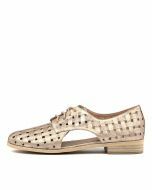 Crafted from premium leather, this design has an embossed and pierced upper that resembles a basketweave pattern. 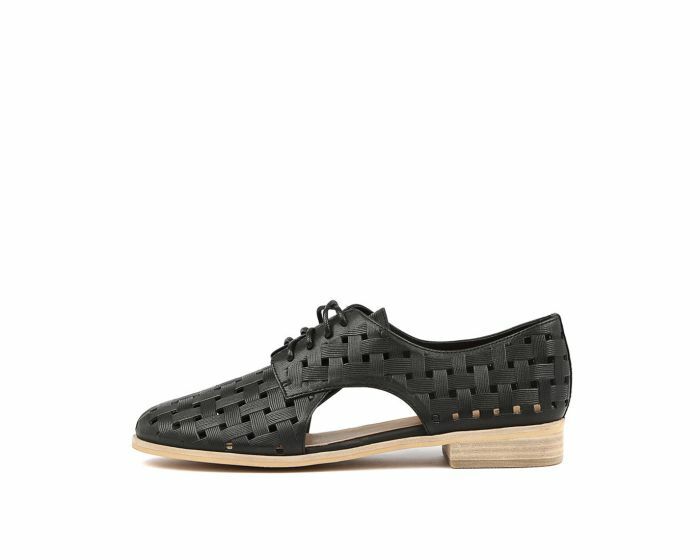 The cutout side panels give this shoe a fashion-forward appeal, which will add a point of difference to your looks!